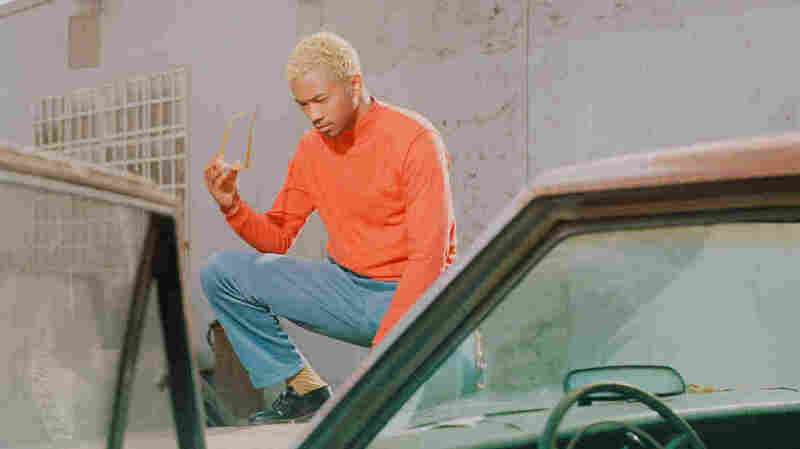 Toro y Moi Jumps Out Of His Comfort Zone With 'Outer Peace' Around 2010, Chaz Bear became the poster child for the chillwave genre. His latest album, Outer Peace, explores adulthood and identity in the modern world. Chaz Bear explores adulthood, technology and identity with his latest album, Outer Peace. The focus of Bears' introspection has previously been on love and relationships. But for Outer Peace, it's shifted to a bigger picture — the relationship between a person's identity and their sense of place in the world. Bear says being both black and Filipino has been the constant theme of his entire life, and "it's a fine line to walk" to make music tastefully in a way that takes both sides into consideration. And while the indie music scene continues to be primarily a white space, as a biracial artist working in that community, Bear says he's noticed some changes. "There are lots of artists popping up these days that are like definitely dabbling in other [genres]. Musicians of color that are dabbling in genres outside of hip-hop and R&B," Bear says. "I think that's important to sort of go outside of your comfort zone or go outside of what people think you should be doing. I enjoy the challenge because it's so easy to go with the flow sometimes, but you've got to remember to be a little bit outside of your comfort zone." Outer Peace is out now via Carpark Records.